BTS (방탄소년단) (Bangtan Sonyeondan)) also know as Bulletproof Boy scouts are K-Pop(Korean pop) Boy band under the BigHit Entertainment company, the group is consist of Seven members. 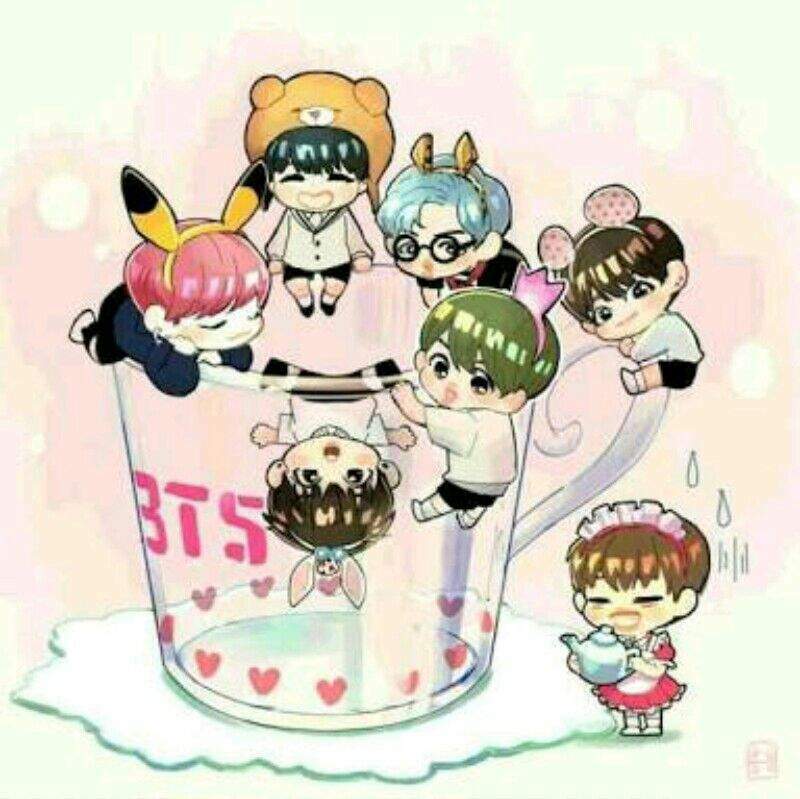 Kim Seok-jin, Kim-Nam Joon, Jung Ho-Seok, Min Yoon-gi, Park Jimin, Kim Taehyung, and Jeon Jungkook. These seven boys have taken over the world with their good looks and harmful smiles. Each of them is very close to each other, and we ARMYs love to see them together and happy. Our seven angles have debuted on June 12, 2013. It has been five years and the group has already made history as the first Korean band that has been famous worldwide. The group has seven members, Each one of them has worth over $8.3 Million USD. However, Min Yoon-gi has a total worth of 9 Million$. BigHit recently Stated that BTS current net worth is 61.2 Billion (KRW-Korean won) as in nearly $52 Million USD. Kim Nam-Joon famous as Rap monster. He is tallest among the group and one of the smartest member. Kim Nam-Joon is the leader of the group, he also writes and produces songs. Kim Seok-jin is the eldest member of the group. He is one of the main Vocalist and the Face of the group. He is famously known as ‘Car-Door Guy’ and ‘Worldwide Handsome’ if you are a newbie you might think he is arrogant for bragging too much about his look. Well, he jokingly says it to make people happy, and when he was a child he was constantly mocked by kids for his weird look. We think he now deserves a little bragging, don’t you? Many don’t know but Jin’s father is the CEO of Korea Samsung, and her mother was ‘Miss Korea’. Even though he has a rich background he still persuades his career in music. Jung Ho-Seok is formerly known as J-hope (nickname, Hobi). He is the sunshine of the group, and one of the best dancer and Choreographer. J-hope auditioned as the main vocalist he chooses to be a rapper instead just for Taehyung (V) so that he can join the group. Min Yoon-Gi is known by his stage name Suga (Agust D) also as Bias Wrecker. He is a rapper, also writes and produce the songs with Nam-Joon. As a trainee Suga used to deliver the newspaper while riding the bike he accidentally hurt his shoulder, he didn’t even tell the BigHit staff, thinking that it would end his career. Suga had gone through mental depression that affects him still to this day. Park Jimin also known by his nickname (Mochi and Chimchim), he is one of the best in dance and Vocals. He is the hardest working member. Jimin once reached his limit just for not letting any of us ARMYs down. He once did a performance of his solo song ‘Lie’ and the choreography was perfect but he messed up a little. When he went backstage he felt really bad at the urge to cry he said, ‘I didn’t do my best out there, I let them down didn’t I.‘ Indeed, he is one of the sweetest guys on the planet. Kim Taehyung is known by his Stage name V and also by his nicknames (Tae Tae, Blank tae). He is one of the best singers in the vocal line. Kim Taehyung and Jin both are the visual and face of the group. Jeon Jungkook is the golden maknae, (Kookie) he is the youngest member of BTS who is perfect in every field, in short ‘Ace of the Group’. He is the vocalist with a voice of an angel, but a devil to his hyung. Jungkook may be a maknae in the group but he is the strongest and often bully his hyungs especially Jimin and Taehyung. He also loves them very much, he was once asked what one good quality of each member he wishes to have. “BTS means boy scouts and our fan support us and make us stronger, So they are Our ARMY”, said Kim Nam-Joon on The Ellen show. They all love their ARMY there is no doubt. The Logo of BTS is the big proof that they love them by heart. The Logo represents BTS and turns it around it represents ARMY. BTS is famous for their visuals and many of them think they had plastic surgery. Some question arises that J-hope did some nose job because of before and after photos. Some people thought he fix his Jawline before debut. But believe it or Not, they didn’t have any surgery. Each member of the group did not have any surgery, it is all natural. They just have gone through some puberty. And most importantly Karma is Bit*h.
After winning the previous they got the chance to perform there with their Debut of ‘Fake Love’. Billboard has announced that Jungkook flashing his abs was one of the 9 Best moments of Billboard, with another win of the Best social artist. Even though the camerawork was bad (*so bad), ARMYs still were able to capture the best moment. Who Else Literally Cried during the CharliexJungkook We Don’t Talk Anymore? You can read about Charlie Puth too…know why Jungkook really admires him. As many of you are wondering is BTS dating someone. The shock as it may sounds, the member have not dated anyone that includes, Jungkook, Kim Taehyung, Rap monster, Park Jimin. As for Jin, he said that he used to have a girlfriend when he was in Sixth grade, then the girl cheated on him. There were rumors that Suga has dated a girl for a year before his debut. The identity is unknown. J-hope was also in a relationship for almost two years but the girl dumped him for another guy. This was also before his debut. (so sad). BTS has released 13 studio Album, which includes there Singles, Japanese version. 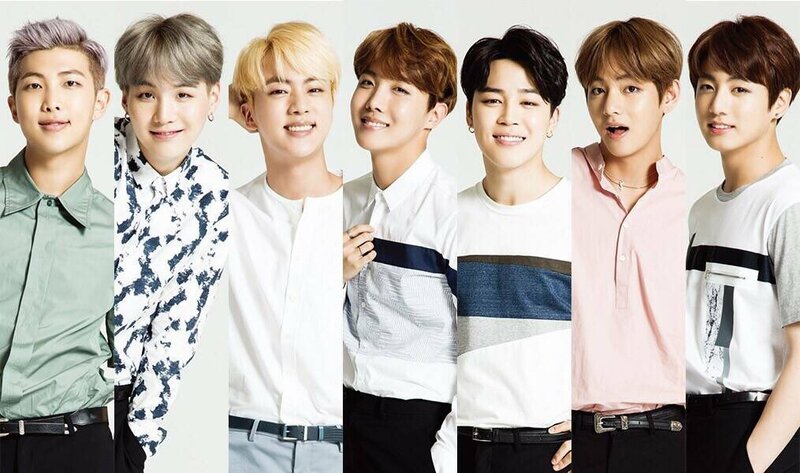 There is no doubt that BTS has done many hairstyles from short to long and dye their hair in every color you can imagine. There was Green hair, blue, red, purple, bubblegum pink and so more. They have gained so much popularity over these five years, so as their outfits and Fashion styles. From Gucci to designer from earring to chokers, they made them trendy. There are so many BTS ships there, the Most famous one are Jungkook and Kim Taehyung (V) called Vkook, and Rapmonster and jin (Namjin). These ships were made because of the bonding between the fellow member. Their relationship is so close than a real family. They are not in a romantic way as some of you may wondering. Chibi is a Japanese word for short and small. Many anime-k-pop lovers really like the anime version of people. There is an official fansite of BTS run by ARMY in Korea. They provide the information about their comebacks, concerts Schedule, and Fan meetings. For the international fan, they have a twitter page. All the member of the group uses a joint account on Twitter and Instagram. (@bts.bighitofficial) is their Instagram account, which has 13.2 million followers. 방탄소년단(@BTS_twt) is their twitter account which has 16.4 million followers. Tyra Banks the boomerang Queen, she met our boys at Billboard. She is nice, go check her out her personal and professional life. BTS has written many inspirational songs. Here are some quotes from their songs. Pop Diva Shakira, the Queen of Latin Pop, know about her career, and why she broke up with the son of President of Argentina.